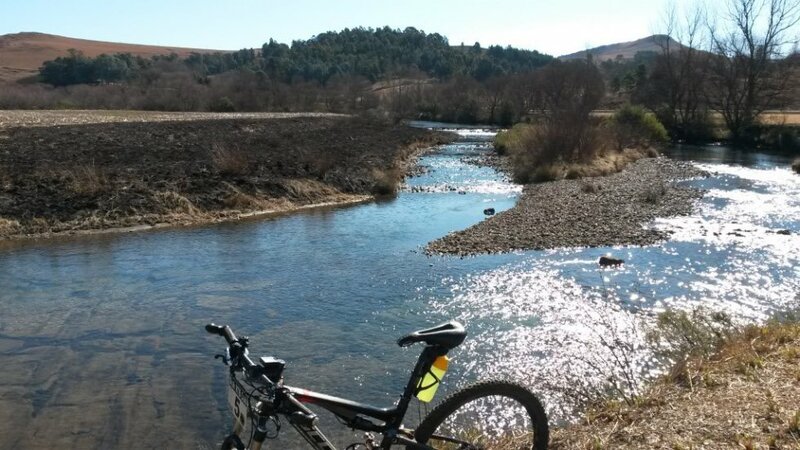 A beautiful scenic one-of-a-kind flat & gentle ride/run alongside the river. There are some wooden slatted “A frame” bridges (over fences) to negotiate – which require some momentum and basic skill. Keep in the middle of all the bridges – and watch out for missing slats that the cows may have broken. Rains have also exposed some rocky ledges that need to be negotiated. Virtually no climbing at all on this section. So, remember – momentum is your friend!